The 19th China Hi-Tech Fair kicked off at Shenzhen Convention & Exhibition Centre on November 16 and on the morning of November 19, the Yantian District Government and Invest Shenzhen co-organized the “Yantian District Hi-tech Products and Major Projects Promotion Conference”, attracting nearly 150 guests from more than 100 renowned hi-tech enterprises and investment institutions. 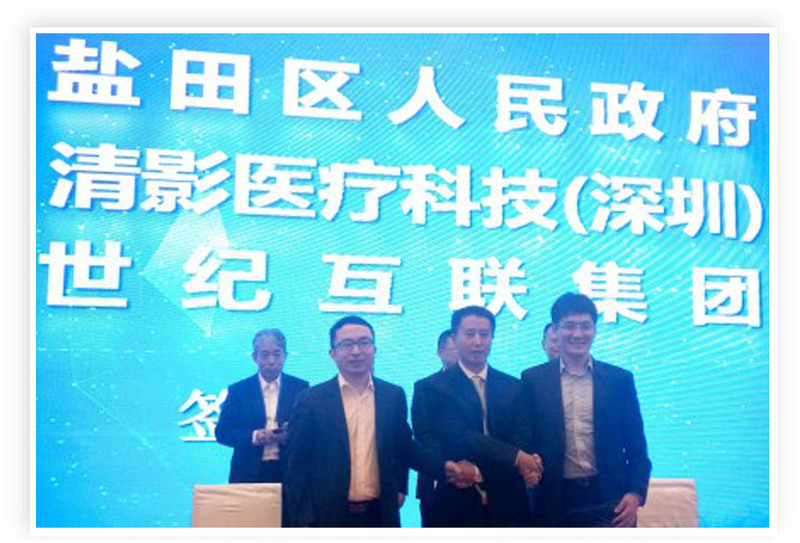 At the conference, Wang Chonglu, Vice President of Beijing 21Vianet Broadband Data Center Co., Ltd., signed a tripartite agreement on behalf of parent company 21Vianet, along with Zou Hao, CEO of Tsimage Medical, members of the Yantian District Committee and Shi Weigan, First Deputy District Chief. With support from the Yantian District Government, 21Vianet and Tsimage Medical will jointly build an artificial intelligence research and development centre, a medical imaging big data centre, next-generation artificial information infrastructure (personal data centres), an artificial intelligence incubator, a smart hospital, a third-party medical imaging centre, and a smart medical national engineering laboratory. They will also establish the Tsimage-Stanford artificial intelligence research institute and collaborate on other projects. The Group’s strategic partner, Tsimage Medical, won a Future-Maker Award at the Global Innovator Conference 2017 of the G20 SMART Innovation Forum in September 2017. 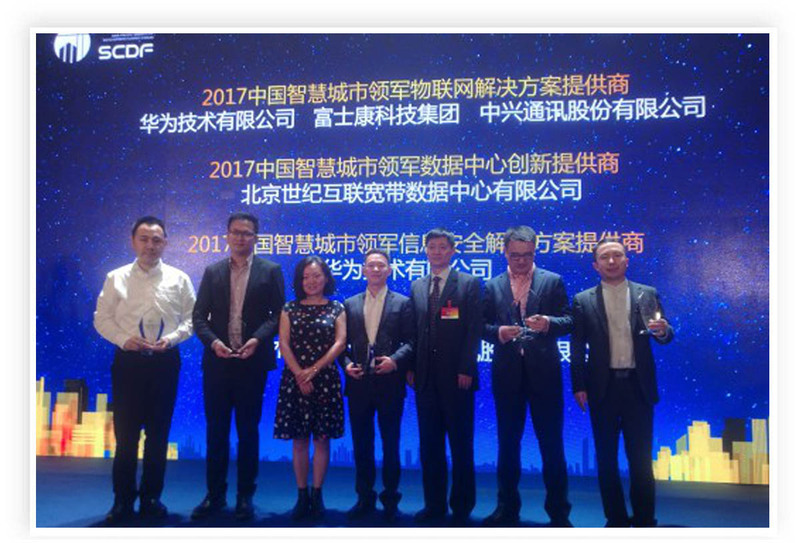 21Vianet (NASDAQ: VNET), the world's leading internet infrastructure operator and China’s largest third-party neutral data center operator, was honoured as a “China Smart City Leading Data Centre Innovation Provider 2017” at the Asia-Pacific Smart City 2017 co-organised by the International Data Group (IDG) and the State Information Centre of China, in recognition of its achievements in data centre innovation. To accelerate its strategic transformation, 21Vianet will set up its headquarters in the Greater Bay Area and launch its Next-Generation Data Centre Strategy with a focus on personal data life. Based on the concept and technological framework of SPEAR (Secure, Personal, Edge, Access, Revolution), it will use technologies such as blockchain, edge computing, artificial intelligence, big data, 5G communications and future network to build a future intelligent information infrastructure that can integrate “people”, “machines” and “things”, supporting the development of the digital life and big health industry such as medical big data, smart healthcare and biotechnology. 21Vianet will join force with top strategic partners and help Yantian to become an innovative engine and a global industry leader that attracts high-end technology talents and optimises the industrial structure, accelerating the strategic plan of the Yantian District Government to create a “Healthy China” model in Shenzhen.